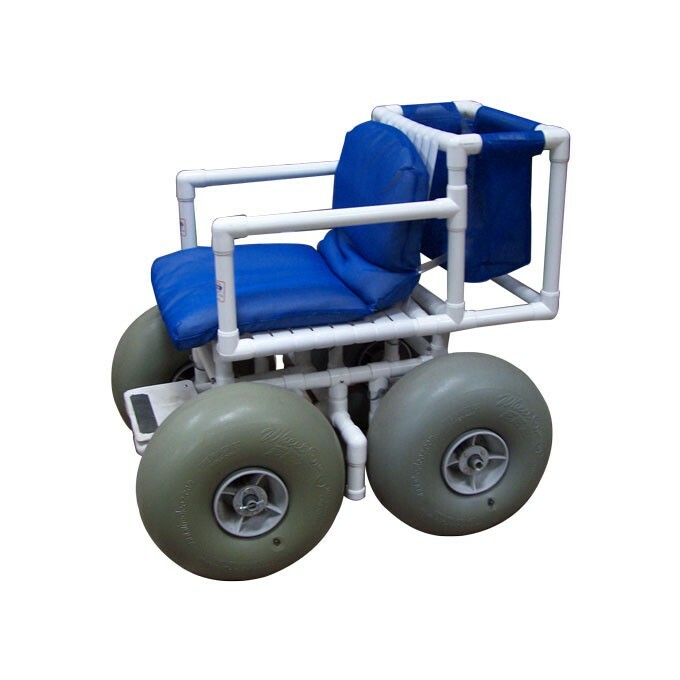 Beach wheelchair with flotation tires. Large flotation tires make pushing this chair on the beach a breeze. Many beach areas have loaner beach wheelchairs available, but not for your use all day. Now you can stay on the beach all day. 250 lb. capacity.